WELLINGTON, New Zealand— David Kendall Audio Visual recently installed an end-to-end networked audio system by HARMAN Professional Solutions at the Wellington Cathedral of St. Paul. Located in the historic district of Thorndon, the Wellington Cathedral of St. Paul is the mother church of the Anglican Diocese of Wellington, attracting a vibrant community of worshippers each week. In addition to serving an important role in the Anglican Church, the ornate architecture and refined acoustics of Wellington Cathedral also make it a popular venue for choral and orchestral concerts. 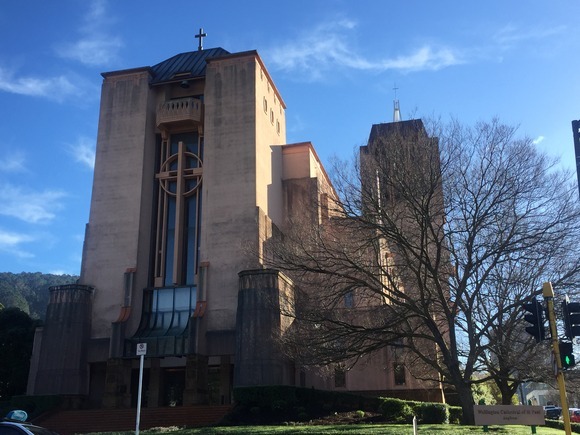 With sound reinforcement playing a critical role at Wellington Cathedral, management wanted to ensure optimum audio quality and balanced coverage during church services and concerts. To achieve these goals, management hired David Kendall Audio Visual to upgrade its aging sound system with a complete HARMAN networked sound reinforcement system. Due to their professional audio expertise and ability to provide unique custom designs, David Kendall chose supplier JPRO (formerly JANDS NZ) to partner on the project. The front nave, the Cathedral’s main area, is covered using JBL Intellivox DS280 array speakers, which offer excellent speech intelligibility throughout the coverage area while maintaining a constant sound pressure level up to 110 feet. The Intellivox DS280’s unobtrusive design and active vertical beam shaping helped the JPRO design to achieve seamless integration and optimum performance in the cathedral. To cover the rear nave of the cathedral, Intellivox DC280 speakers that were part of the previous sound system were redeployed, while JBL CBT-50LA and CBT-100LA column speakers were deployed for chancel-, choir- and front-fills. The CBT Series speakers are powered by Crown DCi Series amplifiers. For mixing and audio processing, David Kendall included two BSS Soundweb London BLU-100 audio processors and a Soundcraft Si Impact digital mixing console. The system’s ease of use and intelligent design allows simple operation for everyone at the church, while offering great flexibility for skilled operators. During liturgy, the microphone levels are controlled with the Soundcraft ViSi iPad app, and can be automatically mixed via a BLU-100 stage box and the Soundweb London automix function. When the venue hosts guest artists and large concerts, a Soundcraft Si Impact digital mixer provides intuitive professional control over the mix.